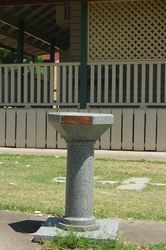 Birdbath erected by the Aberdeen Knitting Circle commemorates those who served in World War Two. 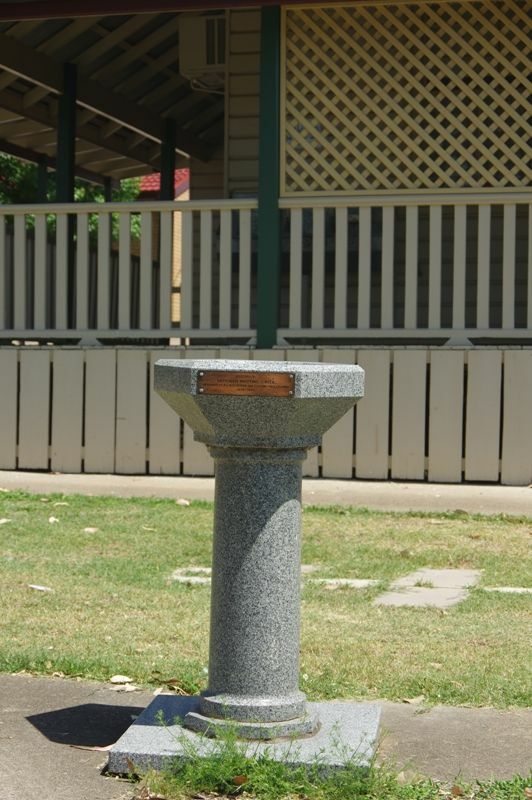 Aberdeen Park, next to the Baby Clinic, is shortly to be enhanced by the installation of a fine memorial drinking fountain and tablets, which will cost in the vicinity of £100. This matter came under the notice of the Upper Hunter Shire Council at its sitting yesterday, when a letter from Mrs. H. Bluford, hon. 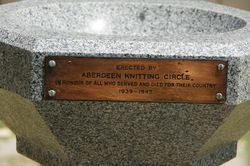 Secretary of the Aberdeen Knitting Circle, sought permission of the Council to erect the proposed fountain. The Scone Advocate (NSW), 9 August 1946.